A massive congratulations to Greg Barry, who recently picked up his brand new 191 Honda Civic Type R. The all-new fifth generation Honda Civic Type R is the ultimate hatch. Although it has the same turbocharged petrol engine as its predecessor, the new Type R has been completely rebuilt from the ground up for 2019. 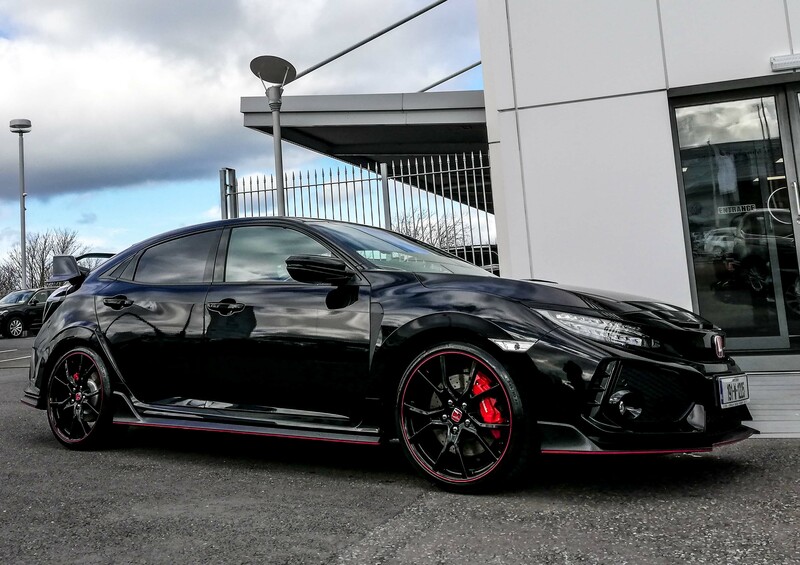 Its sharply-shaped bumpers, huge rear wing, bonnet air inlet and large 20-inch alloy wheels with accompanying Brembo brakes, ensures that the Type R is the most distinctive looking hatch on the Irish market. Safe and happy driving, Greg, and thanks very much for choosing Bolands Honda Waterford. For more information on our Honda Civic range, please call Bolands Honda on 051-337999.